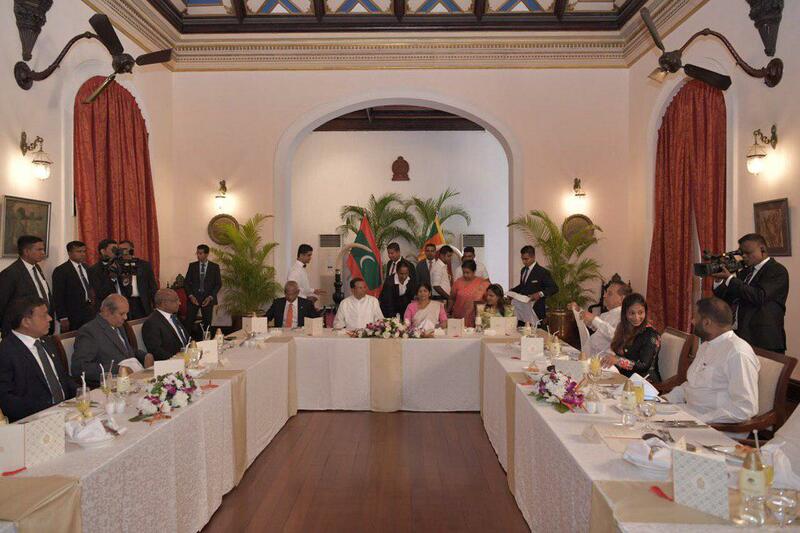 His Excellency President Ibrahim Mohamed Solih attended the State Luncheon hosted in his honour by the President of Sri Lanka, His Excellency Maithripala Sirisena. As part of President Solih's State visit to Sri Lanka, the President accompanied by the First Lady and the Maldivian delegation received a grand welcome from the Sri Lankan Government. Discussions in the bilateral meeting between the President of Maldives and President of Sri Lanka has paved the way forward for greater cooperation in areas of shared interest.